We wrapped up our Fall Summit earlier this month and we’re still energized from the whirlwind event. Here at the Academy, our bi-annual Summits are an institution of Membership benefits. Twice a year our Members are given the opportunity to surround themselves with like-minded entrepreneurial attorneys and take time to focus on their businesses. We offer a wide variety of training in education, marketing and practice management sessions, but the real magic happens in the hallways, over a cup of coffee and in between sessions. I know this because I previously managed a Spring Summit virtually from our San Diego office. However, there is something special about in person events and that cannot be replicated when you’re sitting in front of a computer. The energy and excitement you feel from other attendees, the back and forth of conversation and ideas that happen when least expected and the synergy that occurs while brainstorming with others simply is missing online. One of my favorite things to do at our events is to watch connections happen between our Members and their teams. You can see offices huddle after sessions to fill the others in on the great ideas they picked up or firms walking to dinner together and excitedly talking over with one another about their day. This is what Academy Summits are all about. Since I started here in 2007, Summits have grown in what we offer as well as in attendance. Members have consistently brought more staff with them to our Summits, so their teams have the opportunity to learn our systems firsthand and have the ability to network with others in their same positions. I always look forward to seeing our attendees connect and hear about their takeaways from the event. 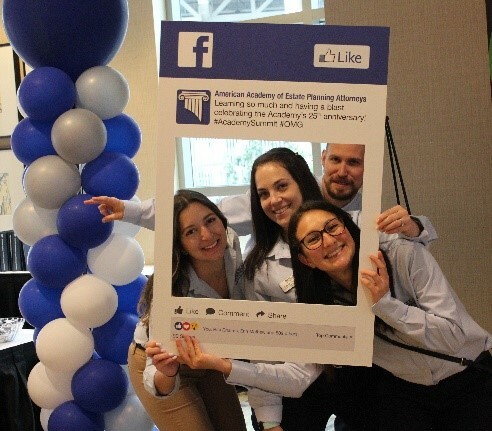 Summit Attendees – Be sure to share your favorite memories of the summit on social media using #AcademySummit. I look forward to reconnecting with everyone again at our 2019 Spring Summit in Atlanta!